I'm gearing up for NaNoWriMo which I will TOTALLY finish this year. But this year? This year I am going to WIN. In preparation, I've been plotting and pre-writing and doing all the things that I have dutifully stayed away from as a dedicated, artistic pantser. I love to see where the story takes me and follow my muse. But, since it took me well over a year to write my last novel, I'm coming to the conclusion that maybe pantsing isn't the most efficient way to go about writing. So I'm learning about plotting. But I've rounded up some of my favorite resources on the topic, so maybe you can do some plotting, too. Because NaNo is only *checks calendar* eleven days away. *checks calendar again* That can't be right. 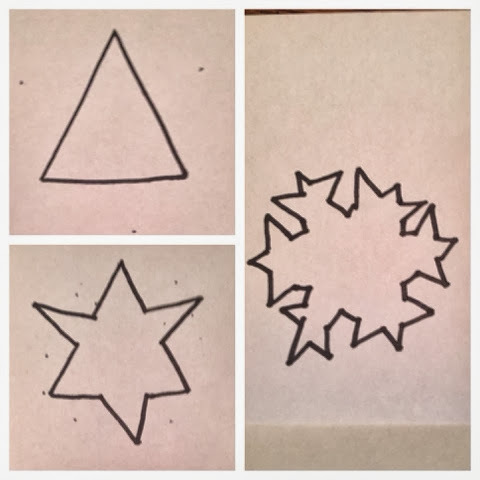 The Snowflake Method - While the illustrious Jordan McCollum didn't invent this method, she wrote the best, most clear post on the subject. Basically you start with a basic (like, one sentence) summary of your book. Then you elaborate on that sentence until you have a paragraph. Then you elaborate on the setting. Then the characters. And so on and so on until you have a robust outline. The name comes from the idea of a fractal. I know, math, ugh. But stay with me. If you take a basic shape, like a triangle, then you add a triangle to each side, you make it a slightly more complex shape, right? Then you do that again, and you have a snowflake. Something simple, when you elaborate on each piece of it, becomes something much more complex and robust. I'm a novelist, not a cartoonist. I use words not shapes, but you get the idea, right? The Three Act Structure - This is a really common method of outlining, but to see it broken down in video form was really helpful for me. The vlogger actually goes further and breaks each of the three acts into three more acts (nine acts now) and then three more acts, to create a twenty-seven act structure. Each of those acts stands as a chapter in her first draft. The Seven Point Structure - So far as I can tell, this one is attributed to Dan Wells, but I could definitely be wrong. Here, you work with a hook, a midpoint, a finale, two plot turns (one is the catalyst) and two pinch points to create a basic framework for your story. You can layer multiple seven-point plots in your story; Wells' powerpoint on the subject uses The Matrix as an example and shows the seven plot points for the main plot, the romantic plot, the betrayal plot, and the personal character plot. The seven points are different for each individual story, and layering them together is a simple way to create subplots for a more complex story. This is my favorite plotting method, though I do combine it with the three act structure (not the twenty-seven act structure, just the first three) to make my outline feel ultra-super structured. What? If you put a structure inside a structure it's, like, ultra-structured, right? Also, since I write speculative fiction, I highly recommend the Worldbuilding tag on Writing Excuses. Writing Excuses is an excellent podcast, full of tips and techniques for just about every part of novel-writing. They have dozens of podcasts on worldbuilding (if you count the ones that are also tagged "world building" instead of "worldbuilding" ... I dunno) that help you think about the "little" things in your world. This is excellent to do in the pre-writing stage, so that when the time comes to actually write all the words, you don't have to stop and think about what your character would eat, or whether or not a woman in that culture would behave that way, or what kind of trees populate the area. And that's what NaNoWriMo prep is all about: Getting the world built and the novel planned and the characters named so that when the time comes, you can just write, write, write, write. If you want to look me up on NaNoWriMo.org, my name is Ginadenny. I save my creative juices for actual writing, not drawing snowflakes or thinking up screen names. This is great info, Gina! I did not go into writing my book with a structure, but I think I could use a structure retroactively to make my story flow a little bit better. Thanks! I love seeing these different methods laid out together. Each makes me think about my story differently...and makes me realize that I have a lot more plotting to do. Yay! I'm using an outline this year too. I realized that it comes in handy if you don't have the time to rewrite the same novel 16 times! I'm liking outlining a whole lot more than I thought I would. I'm almost ready for Nanowrimo. Just a few more finishing touches on my outline and I'll be ready! !